One of the greatest aspects of golf is the simple element of the score. That may sound elementary, but it is true. A score in the sixties is a score in the sixties. And it does not matter how you do it. If you consistently go low, you can work your way to the pinnacle of the sport. That, to me, is one of the most amazing and fascinating elements of the game. 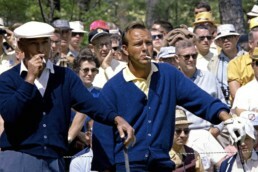 You do not have to be drafted to an organization in order to reach the apex of golf. If you really want it, you can get it. Start at the mini-tours and work your way up. It does not matter who you are or where you come from. In many ways, pro golf is the most capitalistic occupation in the sporting world. Professional golf’s laissez-faire landscape breeds this self-starter mindset. Your pursuit of the PGA Tour is a business. And your business needs cash flow. Some professional golfers acquire sponsors. Other’s sell stakes in their career to investors. Many work a job to fund their career. Zac Radford was the latter and he was finding it increasingly challenging to get his game to where it needed to be. So he pivoted. 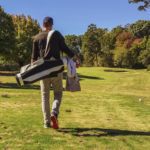 He wanted to find a way to turn his professional golf career into a business. Zac saw social media as his gateway and he kicked down the door. One year later, he is becoming one of the premier social media influencers in golf. Zac picked up golf later in life. Baseball was his first passion. That was until he started swinging a different stick in high school. He was hooked on golf. At the University of Tennesse, Zac held two jobs to pay for his education. Upon graduating, he wanted to take this work ethic and see how good he could get at golf. He gave himself a year. 2010 started as a 12 handicap and ended with scores in the sixties. He wanted to take his passion to the next level. In 2011, he began his journey towards his dream of one day playing on the PGA Tour. But competitive golf is hard. It is a different animal. Especially at the professional level. Zac did not have a ton of competitive golf experience under his belt and had to go through some growing pains. All the while working and trying to find ways to get the money together for entry fees. Unless you are on the Web.com or PGA Tour, there is a slim chance a sponsor will back you. And understandably so. 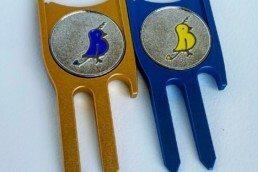 Brand’s want to work with athletes that put their logo or product front and center to the golf world. Sponsoring an athlete who is not on TV does not provide this. Unless they have an audience behind them. The concept of garnering an audience through alternate media paths is a compelling facet of the era we live in. The internet is an ever growing frontier of possibility. Especially for athletes. From the start, Zac had this idea in mind of building a business by creating a social media following. What he didn’t expect was how quickly it would happen. He started with Instagram and had a distinct approach. And if you follow Zac (which you really should do) it is no surprise that his following has exploded. His pictures are incredible. With this fresh take on golf, in just one year he was able to grow his audience to 35,000+. With a following this large and specific, Zac’s hard work and vision was finally coming to fruition. He was contacted by a large company that wanted to work with him through social media. Zac’s ultimate goal is still to play on the PGA Tour. But because of how fast everything has happened around his brand, he had to take a quick breather from the competition. Once Zac is able to get his business ventures where he wants them to be, he plans to continue his pursuit of the tour. Only this time with a full-fledged business behind him. It was a true pleasure to have Zac on the show. He is a gentleman and has a grateful outlook on life. You can tell that he is beyond thankful for his family and mentors who have helped him along the way. Check out Episode 16 to hear Zac and I talk about getting started in professional golf, the opportunity that social media has created for athletes, how he is trying to grow the game, and much more.